Nineteenth century sculpture at the Lille museum : a new catalogue. The sculpture holdings at the museum in Lille, particularly rich for the 19th century (despite the catalogue title, the 18th century is treated only briefly since it covers artists born after 1758, thus excluding for example Pajou, Roland, Houdon, Bizot, who are also present in Lille ), present a twofold and interesting particularity. First of all, they were assembled rather late in the 19th century, at the time of the remarkable development of the museum under the curator Reynart, culminating with the opening in 1892 of the current–and sumptuous–Palais des Beaux-Arts, housing in fact an extensive sculpture gallery, and reflecting the superb wealth of that period and that region. This was not, referring to the sculptures, an original collection dating back to the founding, reassuring in the prestige of the works confiscated by revolutionaries and the royal provenances as is the case for the paintings, but rather an affirmation of the pioneering (and optimistic) modernity of the times. The ensemble reveals another quality, tangible as of 1875 (the first overview of sculpture is done by Edouard Reynart) and openly acknowledged in 1884 (with the first specialized catalogue due to a successor, Auguste Herlin ), which is the strong local, and regional, character of the collection in an area which traditionally favored this form and where the Ecole municipale des Beaux-Arts obviously played an important role (as proof, the astonishing collection of casts mentioned above). One can see that there is no serious or irreparable hiatus in these active years from 1879-1900, between Parisian art with its Salons and the art in the regions, no provincial or depreciating fracture. This happens in such a way that despite the wars (the museum was seriously damaged in 1916) and the inevitable oversights (sculptures removed from the museum thus at times, resulting in their disappearance ), the holdings in Lille remain an example of conservation, one of the wealthiest in all of France, in the field of French sculpture after 1850, which had been hastily categorized under the global label of “academism”, but is in fact very much alive, naturalist, pictorial and neo-baroque with a stimulating vitality all its own which cannot be summarized and limited to only Carpeau-Rodin. Although these two names, inevitably appear of course in Lille (in the case of the first however, there is no comparison here to the holdings in Valenciennes, his hometown), there are other excellent examples of these fertile decades, such as Carrier-Belleuse, Barrias, Claudel, Mercié, Puech, Flaguiere, Meunier, Bartholdi, Ringel d’Illzach, Fremiet, Idrac, Injalbert, Bourdelle, Pompon which also account for the exceptional quality of the museum , and we would like to make a special mention in passing of the brilliant Lille artist, at times also a sculptor, Carolus-Duran (his superbe Pisan of 1874 was purchased in 2006–see news item, in French, of 23/6/07), but one must not forget the remarkable masterpiece by the Nabi, Lacombe, of the rigid and massive Magdalene (ill. 1) whittled in untreated wood as well as, and most particularly, a long and very encouraging array of artists from Lille and the North. To better learn about them, we turn to the catalogue for help, to select among all of these names which are poorly known such as Darcq, Deplechin, Lefebvre, Boutry and Cordonnier, two sculptors who are especially well represented in Lille and are very convincing but there is still a veritable and significant plethora of others such as, Laoust, Crauk, Pelgrin, Le Thierry d’Ennequin, Fagel–his Young Drummer Dying from 1893 is touching-, Houdain, Desruelles, Printemps whose stinging Miser of 1892, a sculpture by a painter who is a virtuoso of neo-18th century-like style making him unforgettable and not to mention the charming Agathon Leonard, this very spiritual creator of popular figurines, etc., etc. They represent, as pointed out by the instructive essays at the beginning of the catalogue, this sculptural flowering which constitutes one of the museum’s major attractions since its reopening in 1997 , thanks to the extensive and fortunate presentation in the comfortable ground-floor gallery (devoted to sculptures since 1892 but afterwards reduced drastically, typical of the 1950’s). This now allows us to test the choices in rehabilitations, to take in art history as reflected in the works themselves and to finally do away with the rejections or classifications under varying “isms”. Obviously, the catalogue, wishing to be exhaustive, offers examples from other holdings, either sculptures from earlier in the century, fewer in number and reflecting mostly neo-classical aesthetics which are quite accomplished. Next to the glorious Chaudet, Cortot, Bosio, Pradier, Dantan, Foyatier, Etex–the very pure Damalis of 1838 (ill. 2) , victoriously purchased in 1988–David d’Angers, the heroic artist who deserves to be honoured even outside his own memorial-museum in Angers, the very fine Cavelier, Pollet, Alasseur, Huguenin, less known but reflecting the purest qualities, joined also, as in the case of sculptors from the second half of the century, by many artists from here or at least from the Northern region– the advantage of these museums–regional milestones in the cultural landscape, one might say which embody a real disposition for the art of sculpture - , from Bra (born in Douais) to Lemaire (from Lille), from Milhomme to Corbet, from Calloigne (from Bruges) to Cadet de Beaupre (from Besancon) with his career in Lille in which we discover a veritable rival to Boilly in his small bust portraits. Here again, countless names and as many lessons to be learned ! Might not these museums with catalogues which do not leave out a single detail be infinitely more productive than headlining exhibitions ? The second part of the catalogue in the shape of a triptych (a welcome addition in an art volume !) reveals a real surprise : a whole section of glyptics , a specialization which not many museums acknowledge (there must be other ensembles here and there besides the inevitable Cabinet parisien des Medailles and the former Musee du Luxembourg , but how to find them ? A general search is called for…). 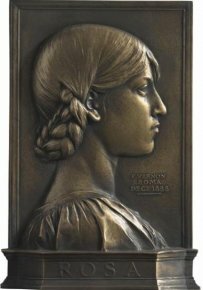 The series in Lille, “medallions, medals, plaques and plaquettes” (either bronze or copper), beyond the strict limits of numismatics, represents the triumph in the 19th century of a very endearing and virtuoso sub-category of sculpture. This developed thanks to a renewal in techniques often based on “Art Nouveau” as well as the idealism dear to the IIIrd Republic deployed here in the works of Roty, Chaplain, Lefebvre and Vernon (ill. 3). No one was aware of these rich holdings in Lille, considerable in number (two hundred pieces), except the beautiful series by Preault and Ringel d’Illzach, of course already mentioned in 1982 , but not thoroughly so, as they are difficult to exhibit due to the small size of these medals, thus made up for now by the 2009 catalogue with illustrations of the whole collection. Thus we see that the medal series by Lefebvre includes 80 pieces, whereas the 1980 listing gave only 16, or the 18 for Chaplain from the very insightful donation by Alphonse de Rothschild  which had until now remained unpublished, etc. As for the medals and medallions of the first half of the 19th century, the catalogue presents those by Barre, Depaulis, David d’Angers, an honorable series of 13 for the latter , few of them ever presented before. This is one of the sections which is sure to fare well in the future (many of the names are still little known and … not expensive !). The 2009 catalogue will be valuable in determining this. Finally, the casts represent the third and final part of this publication, a sensational revelation in many ways. Here we enter a dark and uncharted terra incognita ironically offset by the milky white of the plaster casts ! In other words, the vestiges of an immense cultural shipwreck marking the abandonment of traditional teaching in the Fine Arts schools, which themselves in fact constituted the ante-chamber of the very first museums. In the case of Lille, their history ended in 1900 when the city closed its Ecole regionale des arts plastiques after over two hundred years during which it brought together an extremely rich and very typical collection of plaster models, as explained to us by Michele Moyne in a finely presented introduction complemented with documentary references  : the shipment of casts by the government, first from the antique period then more diversified-Renaissance and Middle Ages–starting with the IIIrd Republic, was the major basis of an active policy of cultural intervention : casts served both as pedagogical tools and didactic references to an aesthetic ideal set up as an example. Thus, officials at the museum in Lille, in the 1890’s placed in the rooms of the new Palais des Beaux-Arts some casts of works which were considered to have made capital contributions to art history such as The Three Graces by Germain Pilon. These casts were to be transferred over to the school in the period between the two world wars . The 2009 catalogue, in unpublished territory , reveals the extent of this encyclopedic knowledge and ambition, an initiative which no doubt must have been repeated in many other cities but has not yet been brought to light. In passing, we might wonder that the events of 1968 did not seem to take their toll here, unlike what happened at the Ecole des Beaux-Arts in Paris. It is even a miracle that this precious and fragile material which, over the years, represented so much effort and money has survived several wars, removals and educational activities . Let us also point out that its three-dimensional nature will contribute to its rediscovery and popularity in the future when today’s culture will tire of photographic reproductions and the intrinsically illusionary video, but this is another problem. In any case, the collection, except for a few unfortunate destructions (due to negligence over the years by different people) was transferred in 1995 from the Ecole des Beaux-Arts back to the museum. Today, it can rest assured it will be saved from oblivion in this catalogue form–we could even term this a rebirth, as it had remained unknown or inaccessible-, thanks to a systematic analysis, fruitful in its identifications and offering a decisive illustrated classification . This is a model publication but, speaking confidentially, one which has not been imitated at higher levels as the national cast collection precariously installed at the Grandes Ecuries in Versailles, despite its prestigious origins, has not yet been published  (in fact, it is rarely open to the public), and the Musee des Monuments francais in Chaillot, the successor to the very important Musee de sculpture compare (in the former Trocadero) has seen its aura and pedagogical mission, of incomparable level, severely diminished amidst a general complacency. The audacious and beneficial publication by Lille seems to be sounding a useful warning : this is not just about a nostalgic return to the world of plaster casts but a vital lesson played out in a pure and white confrontation of life-size stature. Under the supervision of Michele Moyne, Palais des Beaux-Arts de Lille : Catalogue sommaire des sculptures, medaillons et moulages des XVIIIe et XIXe siecles, Paris, RMN, 2009, 380 p. ISBN 978-2-7118-5576-6. Palais des Beaux-Arts de Lille : Catalogue sommaire des sculptures, medaillons et moulages des XVIIIe et XIXe siecles, Paris, RMN, septembre 2009. Michele Moyne, conservation attached at the museum in Lille, has coordinated the scholarly edition of this very accomplished publication, the inventory of the sculptures (pp. 40-121) and casts (202-345) as well as the authorship of the entries for these two sections, whereas the parts on medalsm medallions, plaquettes (pp. 132-183) were done by Elisabeth De Jonckheere, an assistant at this same museum. In passing, let us recall only fairly, that the other important sculpture collection in the North, in Valenciennes, was catalogued and published by Jean-Claude Poinsignon in 1992. Vallourec also supported the publication of another catalogue for the Lille museum, the one by Annie Castier highlighting the ceramics collections (2008). Let us remember that the paintings were presented in a complete publishing edition, Les Ecoles etrangeres in 1999, l’Ecole francaise in 2001 by Arnauld Brejon de Lavergnee and Annie Scottez-De Wambrechies and Les Dessin francais du XIXe siècle in 2004 by Barbara Brejon de Lavergnee and Michele Moyne. No doubt about it, the art of cataloguing is alive and well in Lille. Still to be considered are the sculptures before 1758 and art objects (including the important Ozenfant donation in 1894, very rich in its Medieval section) and..the rest of the drawings, notably the very brilliant Italian ones here, thanks as we all know, to Wicar. We wish the museum the best of luck in its continuing pursuit of cataloguing. The chronological range selected here applies to artists born between 1758 and 1869 (for sculptors), 1878 (for medallions), thus explaining why some artists mentioned in the introductions cannot be found in the catalogue : for example, Emile Morlaix (1909-1990) quoted on p. 16, Boizot and Pajou for the 18th century quoted on p. 30, Roland and Chinard p. 35, Houdon p. 36. Cf. the introductory essay, extremely well documented, by Marie-Francois Bouttemy, who works in the documents section of the museum : “La formation de la collection de sculptures du Palais des Beaux-Arts de Lille au XIXe siècle a travers les anciens catalogues et inventaires”, op. cit. in note 1, pp. 8-17. On the destruction caused by the Great War, cf. Frederic Chappey, “Les trios ages de la collection de sculpture du XIXe siècle du Palais des Beaux-Arts : entre admiration, indifference et consecration”, op. cit. in note 1, pp. 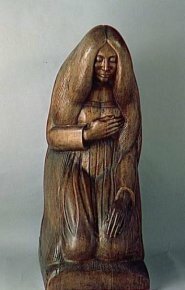 22-39, see notably p. 34 note 25 ; A. Scottez-De Wambrechies, « Les belles heures de la collection de sculptures [du musee de Lille] au XXe siecle », pp. 14-17, op. cit. a la note 1, refers on p. 16 to some removals (for instance to the city zoo) which seem to have been unfortunate to say the least. Finally, Michele Moyne provides a list of destroyed works on p. 350 of the catalogue. This is a situation that is not proper to Lille alone as sculptures in general are particularly open to vandalism. The catalogue’s authors insisted on reproducing even those works which were damaged : Cordonnier, several examples on pp. 57, 58, 59, 61-Darcq on pp. 67, 68–Demarcq on p. 75–Deplechin on pp. 75, 76–Feinberg on p. 86–Feugere des Forts on p. 84–Houdain on p. 87–Laoust on pp. 91, 9—Lemaire on p. 94–Lequesne on p. 96-Sanson on p. 112–Thomas on p. 113. This does not mean there is nothing missing : Frederic Chappey, in his very informative introductory essay, op. cit. in note 5, lists some, almost cruelly so…,on p. 38 (Barye, Rude, Daumier–but was he really a sculptor ?- Maillol, Dalou, several Belgians but Brussels is of course not far away, Gauguin, Matisse–but the Cateau museum is in the same region and Matisse and Maillol belong rather in the 20th century, not covered in the current catalogue—etc.). As always, this is a case of seeing the glass either half-full or half-empty ! It is no doubt better to have a well-constructed series, consistent in the style than a sampling of many which does not present a clear vision. This presentation of the sculptures is very finely accomplished and was carried out by Annie Scottez-De Wambrechies, curator at the museum, more particularly in charge of 19th century sculptures and paintings. She should be commended for her way of blending in some cases, and very successfully so, paintings and sculptures. On the subject, cf. Chappey, op. cit. in note 5, p. 27 referring to various articles by Annie Scottez, to which one should add the very useful historical essay published by her precisely in the 2009 catalogue, cf. note 5. F. Chappey quotes it in passing in his essay on pp. 30 and 36, but we feel it deserved more attention ; also, that the museum director at the time should be especially commended, Arnauld Brejon de Lavergnee for being wise enough to acquire it. Cf. the presentation text of the catalogue, by Elisabeth De Jonckheere, op. cit. in note 1, pp. 126-130. In this case, the collection at the Musee du Luxembourg was passed on to, first, the Musee du Louvre, then the Musee d’Orsay. Medals and medallions can still be found at the inexhaustible Musee des arts decoratifs (as a reminder, its remarkable series of plaquettes by Alexandre Charpentier was placed on deposit many years ago at the Musee de la Monnaie, which is very regrettable as this museum today does not have many displays…). Cf. the exhibition catalogue, De Carpeaux a Matisse. La sculpture francaise de 1850 to 1914 dans les musees et collections publiques du nord de la France, Calais, Lille, Arras, Boulogne-sur-mer, Paris (Musee Rodin), 1982-1953. The repertory at the end provides a wealth of information. Concerning the modern art donation at the time–it was meant to be contemporary, that is of its time, not to be confused with today’s sacro-sanct definition of contemporary art as modern—bestowed by Alphonse de Rothschild in 1887 and a very varied one (paintings, sculptures, engravings, etc.) which went to several provincial museums, see the thesis by Katariina Lederrey at the Ecole du Louvre, directed by Chantal Georgel, 1995, quoted in the 2009 catalogue bibliography, op. cit. in note 1. This donation was especially important for Lille : sculptures by Claudel, Devenel, Gardet, Jouvray, Lancelot-Croce, Pecou, Peter, Ringel d’Illzach, Roll, medals by Chaplain, Roty. Herve Oursel, Arnauld Brejon’s predecessor as head of the Lille museum, nonetheless referred to the David d’Angers’ works in the museum in his work Le musee des Beaux-Arts de Lille, Paris, 184, p. 79, with the sculpture section treated especially on pp. 74-83. Cf. 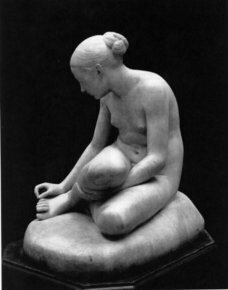 her essay at the start of the catalogue section devoted to the plaster casts, “Les moulages de l’Ecole des beaux-arts de Lille a l’epreuve du temps”, op. cit. in note 1, pp. 186-201. Moyne, op. cit. in note 1, pp. 200-201 ; the author notes that this cast of the Three Graces has disappeared today. Was it one of those which “never made it to their final destination, the storerooms of the Palais des Beaux-Arts, and which it was impossible to save in 1995 during the transfer ?” In any case, it still appeared in the 1967 catalogue of the school’s plaster casts. Although there were two catalogues of the school’s casts (in 1960 and 1967), they remained almost confidential and there was never any thorough study of this collection. See a short list of lost plaster casts provided in the appendix, op. cit. in note 1 on p. 350 : destructions which took place in 1914, 1916 and 1939, the Victory of Samothrace having been willfully destroyed at this time “to make room for a shelter [sic]” (Chappey,op. cit. in note 5, p. 34, note 25) but it would seem there are even more missing (about forty casts, no doubt overlooked during the transfer, verbal information provided by Michele Moyne, October 2009). The 2009 catalogue, op. cit. in note 1, subdivides the holdings into Antiquity (Ancient Orient, Greece and Rome), pp. 202-276, that is a considerable collection,-then Middle Ages (9th to 14th centuries), with sub-sections on Germany, Spain, France, pp. 277-305-Renaissance (15th to 16th centuries) divided among Germany, France, Italy, pp. 306-325—19th century, pp. 325-32—Modern busts and medallions (15th to 19th centuries), pp. 327-333 and finally Various Models, mostly fragments and decors, pp. 334-345. These holdings come partly from the Ecole Nationale des Beaux-Arts and the Universite de Paris, with some very famous plaster casts due to their age (from the old Academie royale de peinture et sculpture, sometimes sent from Rome by the Academie de France before the Revolution, etc.). Readers should refer to the various publications documented by Christiane Pinatel, for example, one of the most recent ones is very instructive : “Plaques d’apres l’antique de la frise du Parthenon a la Petite Malmaison”, Bulletin de la Societe de l’Histoire de l’Art francais, year 2005, Paris, 2006, pp. 203-256, with a bibliography. We can only hope that it will one day be able to publish what would be a very useful catalogue of what is today called the Gypsotheque de Versailles. Next article in Publications : The Paintings of Hendrick ter Brugghen (1588-1629). Catalogue raisonné.